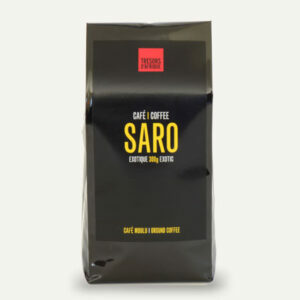 Size of 3 x 100g. 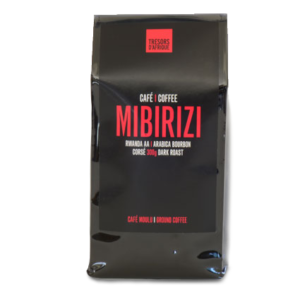 This “Grand Cru” bundle allows you to taste 3 of our most delicious coffees! 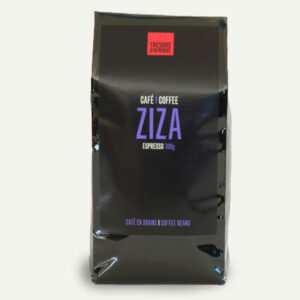 Espresso ZIZA is full-bodied, aromatic, slightly acidic, with a nice finish on the palate. 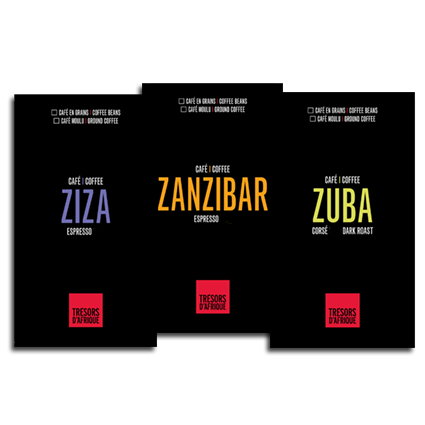 ESPRESSO ZANZIBAR is a judicious blend of fine Arabica, its subtle acidity, with spicy notes, is an experience to discover. 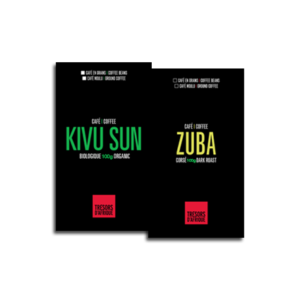 ZUBA completes this trio in a remarkable and full-bodied way!